Lance’s birthday isn’t for another week or so, but while we were down visiting my parents we had a little party for him. 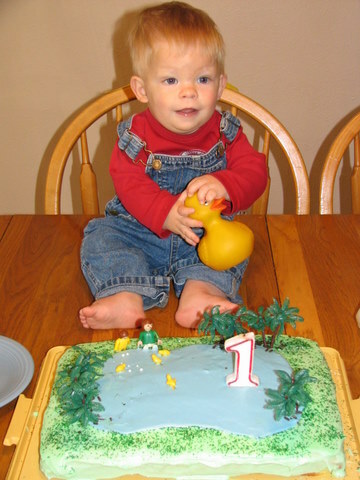 Mom was always the cake decorating guru as I grew up so it seemed like a great privilege to decorate my own son’s cake for the first time. Katie helped and came up with some of the little toppers. We did a “duck” theme because Lance likes his rubber duckie so much. 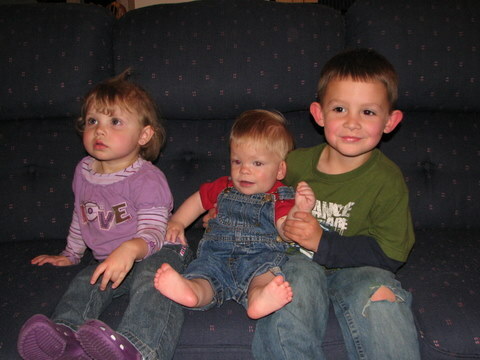 We invited his cousins – Abbie and Connor, as well as Jacob (not pictured). 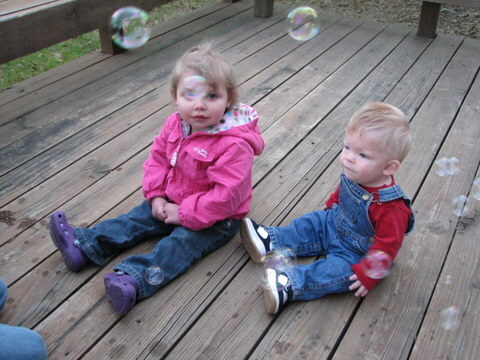 We did bubbles but it was pretty windy so Abbie and Lance just sat there and watched them fly by. Later Brian helped Lance chase them around – boy was it funny to see his puzzlement as they disappeared right when he was about to catch one. We all sang Happy Birthday while he sat there looking around and wondering why everyone was staring at him. 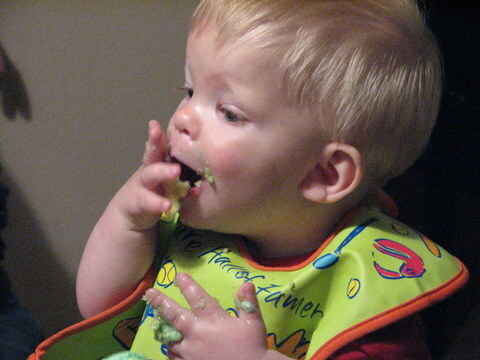 He heartily enjoyed the cake however! Next was the presents! 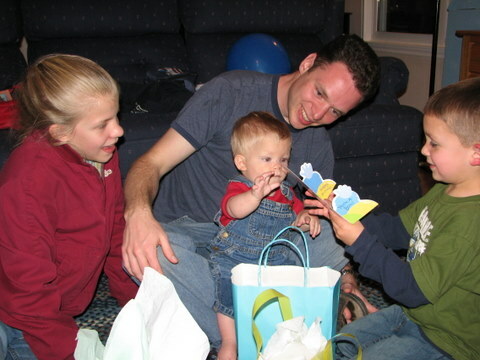 Connor helps him open a card while Daddy and Aunt Katie watch. 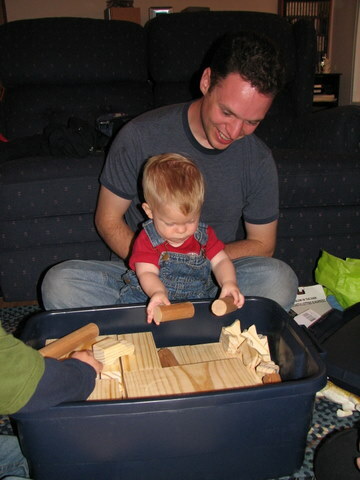 Daddy and Papa spent all morning cutting and sanding this wonderful block set. Lance is going to have many years of fun with those! We finished the evening by making hand print cards of each of the kids – good and messy. Then the little partiers had to go to bed.